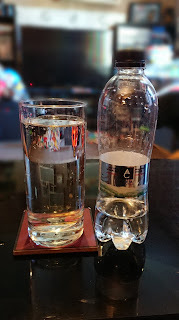 I drink water regularly and I don't see water as just water - you can taste the difference, so when a new water comes along, I'm always interested in trying it to see if I like it. I shared the 1L bottle with Paul and David to compare thoughts. I thought it was at least as good as other brands of bottled water I have tried. David said it was his one of his favourite bottled waters he has ever tried and Paul said it tasted similar to other bottled water. So we all had varying opinions. It is a water I'd buy again. Let's talk more about the water... Well, the water itself is clear and pure when poured into a glass - it looks as you'd want your water to look - crisp and clear. The water is sourced from the Carpathian Mountains in Romania after 20 years of natural filtration during the underground journey of the water. 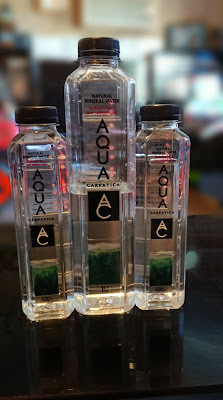 AQUA Carpatica boasts a low mineral content and comes in BPA free bottles which are 100% recyclable. The springs from which the water is drawn are in a protected area. Paul said he really quite liked this. He's not a fan of sparkling water in general either, he said sparkling water usually tastes weird, but he said this one was different. The only one he's ever had that doesn't have that weird taste. AQUA Carpatica is drawn from two pristine and pure aquifers, nestled deep in the heart of the untouched Carpathian Mountains. 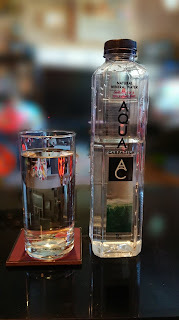 Through a natural 20 to 40-year filtration in a location with no agriculture or industrial activity in the surrounding areas, AQUA Carpatica’s source is protected from chemicals, fertilizers, CFCs and other contaminants, meaning it is simply as natural mineral water should be; virtually nitrate free*, with a crisp and refreshing taste that provides perfect purity and nourishment from the first drop to the last. AQUA Carpatica is available in the UK and Ireland at Ocado, Tesco, Amazon Fresh, Harrods, Whole Foods Market, As Nature Intended, Revital, WH Smiths stores and over 1,000 independent outlets throughout the UK. Prices start at RRP £0.50 for a 0.25L bottle. The range is available in glass or BPA free bottles, both of which are 100% recyclable.